PLEASE CONTACT ME FOR PRICING AND CUSTOM REQUEST FOR ANOTHER ONE TO BE MADE JUST FOR YOU! This big heart has a delicious banana split sticker and then is filled with 4 different types of candy sprinkles. 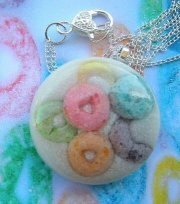 A sweet beautiful treat to wear! 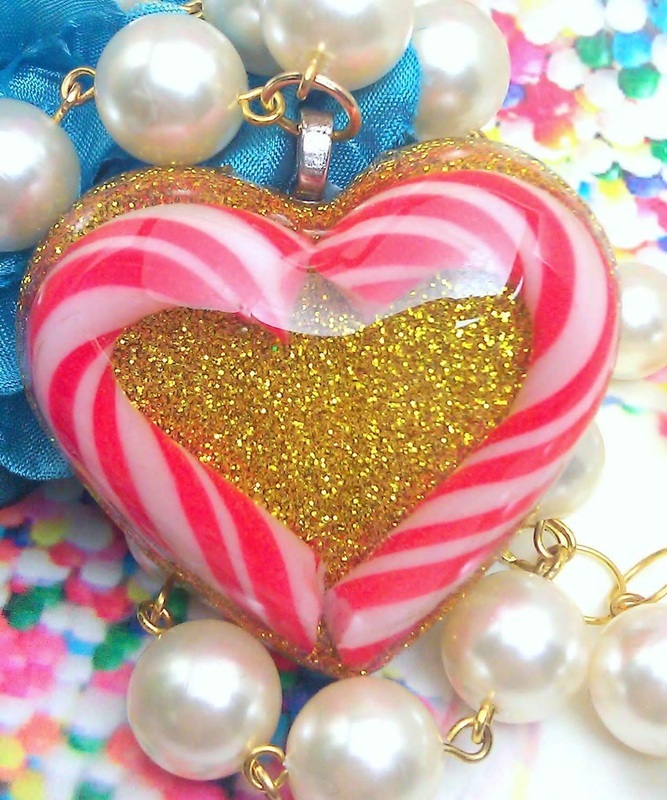 This heart pendant measures 2" x 2" and hangs from a 24" bright yellow ball chain. It has been sealed to a semi gloss finish. 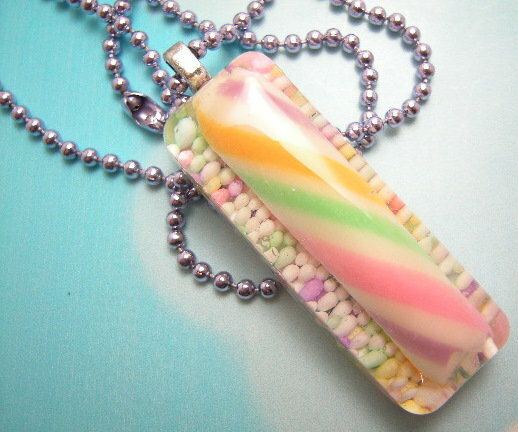 This pendant is filled with sprinkles and inside is a glittery cotton candy sticker. Sweet! Pendant measures 1" x 1 1/2" long and hangs on a 24" pink ball chain It has been sanded and sealed with a semi gloss coating. I used 4 different types of REAL candy sprinkle inside this heart. 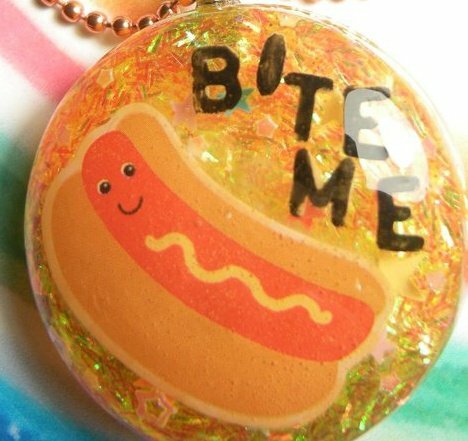 Two conversation heart stickers that say Kiss Me and Hug Me, are also embedded within this pendant! Heart has been sanded and sealed to a high gloss. Heart measures 1 3/4" x 1 1/2" and hangs on a 24" pink ball chain. 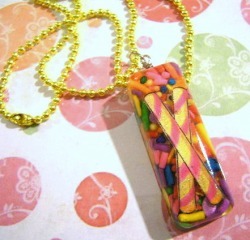 _Such a bright sweet treat to wear during this HOT summer! 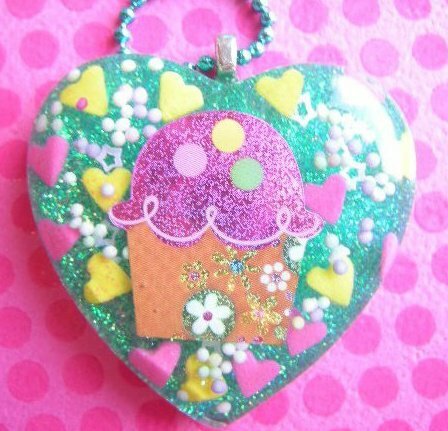 A glittery yellow and pink sticker is embedded along with 3 different types of sweet sugary sprinkles! 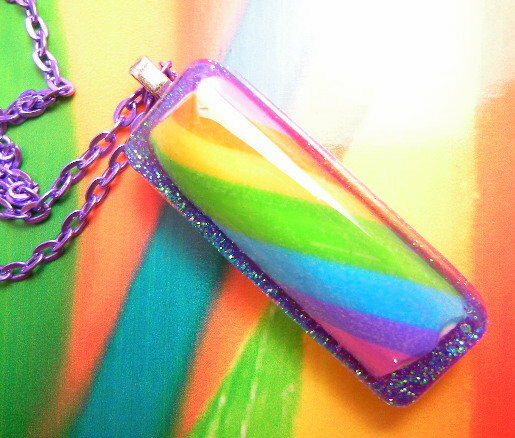 Pendant measures 1/2" wide x 1 3/4" tall and hangs on a 24" bright yellow ball chain. It has been sanded and sealed to a high gloss.